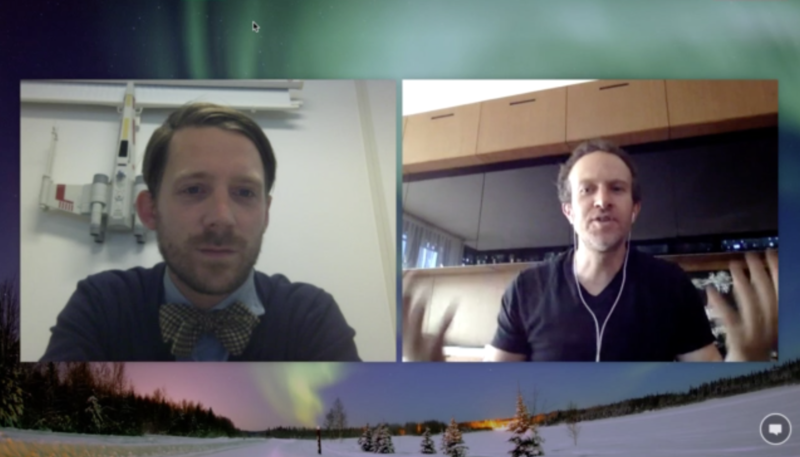 Quite recently we had the opportunity to interview Jason Fried, founder and CEO of Basecamp, a widely successful online tool for productivity. Basecamp is a system that "helps you stay on top of it all" especially when you're working with a team where things can get messy real fast. The tools provide message boards, real-time chats, to-do lists, schedules, file storage and the like. So what does that have to do with 'Purpose'? Basecamp stands out in the peculiar way they have managed to stay true to their original purpose from their humble beginning in 1999, to seventeen years later as a full-blown company. They epitomise "be yourself." That's why we're talking about them today. Stefan Fountain: Hi Jason, thanks for joining! You’re CEO and founder of Basecamp, we’re super excited to have you and thanks for taking the time. Stefan: Now this is cool: I asked if you wanted to see some of the questions we would want to ask you and you said “No, I like to do it on the fly” so we’re going to keep it as raw as we can. The whole reason why we've asked for this interview is because we've written a book called Purpose. When I was talking with the team about who we should ask to talk about this, your name came up. Basecamp’s always been a big example of guys who’ve always acted from purpose. The whole idea behind the book is that all companies have value but often they’ve forgotten it or aren’t acting from that value. They started out to solve some problem and that's the whole reason why they exist. If they would only go back to that reason they would have so much more to communicate and so much more value to bring. Their message would have so much more impact. One company in my view that's always done that is Basecamp / 37signals. Sometimes it's a bit polarising and opinionated but I think that's good: at least you're never ignored. What is the purpose of Basecamp? We were only gonna do the design. Back then, a lot of people were full-service shops offering business consulting and database management and programming work: we don't know how to do any of that stuff. All we know how to do is design your site and write it better. That was the original purpose of the company. Unless you just want to exist for a short period of time and then be acquired or whatever. I think it's so important here is also that was the original purpose. So Basecamp is all about helping those folks and we are those people as well with our small business. We have the same exact problem, so we always try to build something for us first and then for people like us. Stefan: And how was the transition from an agency to a product builder? Jason: It was by accident, really. We were an agency and we realised back in 2002, 2003 that we needed a better way to run our projects for our clients. We were using a sort of internal blogging thing to keep them updated on product updates. We’re dropping the ball, we’re not organised, we probably don't look very professional. What is this thing? We have projects too, can we use it too? It's just this thing we made up. No, you can't use it it doesn't even exist, it’s just this thing, you know? Then enough people ask you about it and — light bulb goes on over your head! Here’s an idea, here is a product. We put 10 or 20% of our time in tightening it up and making it into a product, putting it out, putting some prices on it and see what happens. About a year later it was making more money than our agency was. So we slowly wound down doing client work and focused exclusively on software since then. It wasn't planned. It was just something that happened. We didn't drop everything to do it, we did both in parallel until one overtook the other. Stefan: That's interesting, I wasn't fully aware of that. I knew that was the roots of where you guys came from, but I also know you made another transition later because then you had Highrise and Campfire and a whole bunch of products. And you decided to kill all those as well - not exactly to kill them but to focus on Basecamp. Now Campfire is part of Basecamp and there's another company doing Highrise. How did that second transition happen? Jason: Yeah this is a few years ago. I got married. I took a vacation. And I came back to the company - it was the first time I was really taking some time off. I came back trying to get a handle on what we were doing. Even though I knew this for a while, having gone away and coming back it was clear we were trying to do too many things. We didn't have enough people to do as many things as we want to do. And most of the things were suffering in quality and attention. Back when we first started we just had web apps, now you have to have an iOS app and an Android app and a web app and maybe a desktop app: every product is like four products now. We have, depending on how you count, from 15 to 25 products that we really had to maintain truly thoroughly in order to make them good at all levels in our platform. And we were like 30 people. You can’t do it. We had to pick a decision. Look, we don't want to be a big company. We want to sell a lot of stuff but we don't want to hire a lot of people, we don’t want to be big in that way so let's say we're gonna be roughly the same, now about 50 people. We're going to add a few people here but not too rapidly. That's more important to us so in that case let's focus on our biggest winner, the one known around the world - which is Basecamp. It was 10x more successful than anything else we had. Let's focus on that and let's find great homes for other products or integrate the other products into Basecamp. You could say it was a risky move but I actually think it was not risky at all, it was what we had to do. It's been working out wonderfully, everyone here knows what they're doing now. We're very focused on that now that we don't have to put any of our attention away to anything else. And we can make the best version we've ever made, which is Basecamp 3. We just released it a year ago and it's better than anything we've ever made. It was only possible because we stopped focusing on a dozen other things. Stefan: How did how did the communication around that goes? I remember going to your website and all of a sudden there's this big notice: 37signals is now Basecamp and I was pretty excited about that communication because it was so clear just like “listen, we're focusing -Boom! Here's our money, here's our mouths” and it was very clear. In Hacker News there was a big discussion about it. What were the fallout and the reaction that you guys got? Jason: I wanted to make sure we made extremely clear we were gonna answer every possible question and we were thoroughly and completely honest about it — we've done a bunch of things, we're very proud of them, but the world has sort of changed and in order to deliver on what we have already built we would have to be a different company. We didn’t want to be a different company. We want to be us. It means keeping things relatively small and making sure we know everybody’s name. A family style in that sense. This was the plan, we were going to sell each individual product or spin them off into separate companies, or roll them into existing products. Actually, the vast majority of feedback was wonderful, people loved the fact we were going for it. Some people thought that we were giving up on some stuff and leaving people hanging but that was not the case at all. We’re not leaving anybody hanging. If we can't make it a spin-off we’ll continue to maintain the product - Backpack, for example. It won't change, but it'll be there. Stefan: It's a bit like the 'man in the arena' quote, by Theodore Roosevelt: it's not the critic who counts, it's the man standing in the arena with blood on his face and covered in mud. I really thought it was a bold move, and that it was communicated well. I didn't realise it was written over the weekend. So there wasn't a massive plan behind? I didn’t tell what it was gonna be, I just said there was nothing wrong and I wanted to talk. We met and spent two days talking about it, and everybody was on board about it. We talked about how we were going to roll it out. Then I told the company internally, if I remember correctly, I broke the company into batches of 6-8 people and had a conference call with each one of those batches of people. I wanted to make small announcements and talk to people. I had a phone call and explained to each group, so they would hear it coming from me. It felt a good, intimate conversation, there was no generalisation like you have to make when you have to address 30 or 40 people. You can really talk to 6 people. Stefan: There is a pattern here: you did something similar internally and to the outside world. Would you say that there are similar patterns in Signal VS Noise? How organised is the thought process behind your communication? On the one hand, it's always connected to Basecamp but there’s no grand master plan behind it. Do you have a document that says 'let's cover these topics'? Jason: Whenever we’d make a public announcement, that is carefully considered and thought through. But on the blog, anyone in the company is allowed to write on it and there’s no editorial schedule. When you get an idea you can write about it and post it. David and I would review each other's posts if they're really long or strategic in nature. David wrote up a post recently about how to fire people, and we've only had to do it a few times in our careers and it's a topic lot of people don't really talk too much about. You want to take a look at it first, this is obviously a sensitive topic and so I gave him some feedback, he made some tweaks and then published it. We do things like that. That’s about 1% of our posts. Stefan: How do you create a culture where everyone is expressive enough to go and write out there? A large part of your company is made of engineers. A large part of your posts would be technical. I love the series that Ryan Singer did on the 'Jobs to be done' framework. You guys seem very comfortable writing, but it also needs to be part of your culture. Do you select people based on that, or do you try to teach people? How do you get that idea ingrained into the culture of being hour-focused communicators? Jason: Not everybody writes on the blog, but everyone is invited to. Only a handful of people do. We try to hire good writers. Being able to write well and communicate well is critical every single day and I feel we have a good batch of writers. Not about external communication but even in internal communication. If you can’t make a case, pitch an idea, if you can’t argue your position clearly, it’s gonna be hard for you to function in our company. We do a lot of writing internally, tons of writing. If you look at our Basecamp account, you would see a lot of writing. Not a lot of chatting — we chat, but chat is not where we make decisions — we write stuff up, thoroughly, to give the chance to everyone to express themselves clearly and not be interrupted when they try to make a point. People practice a lot at our company because we write a lot. If I’m looking to hire a designer and I’ve got two who are capable, I’ll hire the better writer as long as their design skills are not far apart. I’ll go for the slightly less skilled designer if their writing was better. I just feel that writing is so important. That’s kind of how we do it, we encourage people to write a lot internally. Some people poke their head out and write publicly. Stefan: So you’ll get people onboard who can express themselves clearly. I wonder if it’s a cultural thing. We are based in Amsterdam, in Europe, and I find that Europeans find it much harder to express themselves clearly, with the right type of argumentation, than Americans. I don’t know if there’s a difference in the schooling system or something like this. Does it ring a bell? Jason: We have a bunch of people working for us in Europe, Canada, a few folks in Australia, a good batch of writers from all over the world. About expressiveness, I don’t know — I get what you’re saying, we don’t have a big enough sample size to know. Stefan: I’m very curious about your blog, and you’ve also written 3 or 4 books now. Is that part of the grand master plan or it just naturally evolves from the blog and your business decisions? The books are typically a by-product of the blog actually. We write a bunch of articles for the blog over a period of years, then we look back and go ‘I think there’s a book here’. We rewrite it so it sounds like a single voice, and tidy it up, add some more stuff. The blog is the place to test and explore ideas, and once we have enough we put them together. It’s similar to a comedian who goes and tests out material in small clubs, tours the world, and then they figure out what works and what doesn’t and then they go do the big special on HBO. It’s similar for us: the blog is to share ideas and explore things, and then gather the greatest hits, add some more, refine it and put it in a book form for all the people who don’t read blogs. Stefan: The audience is slightly different. I love your analogy with comedians. I’ve been reading your blog for a while and the thinking has always been clear, especially when you came out with Rework - but it was sort of controversial. So contrary to what business books are telling you. Not that there's a conscious plan behind it, it's just 'this is who we are, this is what we add to the world'. There's no spin whatsoever, it's just the way you are. This comes very clearly from the book. I've used Basecamp over the years, on and off, but the thing that really puts you guys in a place of respect is these books and the thinking and proving that you can do this stuff without investment. It's so funny that for you this is happening automatically. I’ve always worked this way, I thought I was crazy. Everyone told me I was crazy. It’s wonderful to finally find out that I’m not, that there are other people out there who do this. While I think our voice is unique in our industry, it’s fundamental basic business is the way most people work. Make more money than you spend, don’t get carried away, make a great product, treat your customers and employees well. Fundamental basic business. In our industry, it’s controversial and crazy because the industry is crazy and caught up in its own hype most of the time. That’s why I think it’s fresh in our business but it’s not that fresh overall, in a sense. I do think it helps us, even if you don’t use our products, hopefully, you’ll use our ideas to be aware of them. We’ve never really had a marketing budget, we finally exploring some marketing stuff right now, some radio and podcast advertising and see how that goes, some Facebook ads, we’re trying this stuff right now for the first time over the past few months. For the past 17 years, it’s all been word-of-mouth. The wonderful thing about that is that when you have a point of view that’s unique, interesting and bold, people will share it for you. That’s what we discovered. Stefan: Is that something that was unexpected for you? Jason: It wasn’t conscious, we believe in this and when we look out there we see craziness. Let’s tell them what we see. Naturally, most things we encounter to the zeitgeist of the industry or the hype cycles of the industry are: some people love it, some people hate it, so if you just get enough people who love it behind you, they want to cheer for it because it’s sort of an anti-establishment point of view. There’s always a grip of people who are very vocal in doing things in a different way. It wasn’t ever intentional, just what we think. Is anyone out there listening? Tell us why. It worked out that way. When we first got started in 1999, there was no Facebook, no Twitter, no way to spread the word other than with your mouth. Handsome super early blogs. It wasn’t done in the way it was supposed to be shareable and viral. It was just what we believe. Stefan: Is there anything that you haven’t accomplished yet with Basecamp that you're looking forward to? Jason: I wanna be in business for 25 years. I’ve been for 17 so far. Let’s try and make 25. We do a podcast called The Distance about small businesses run for 25 years or more, and I’d love to be in that group. We’re not there yet, so let’s keep it coming. In the podcast, we tell stories of companies that don’t have their stories told. Companies that were around for at least 25 years, private small businesses. There’s nothing new about them. What’s interesting is that they’re old. The news cycle is all about what’s new. These are companies who figured out the hardest thing in business which is not to go out of business. If you’ve made it for 25 years, you’re not a fluke. You’re doing something right. You hear stories about the latest startups sold for 5 billion dollars and they’re 3 years old. That means nothing to me. I take no lesson to be learned there. I don’t think there’s anything interesting about this. What’s interesting to me is someone who figured out how to not go out of business for a series of decades. That is really hard. Starting something is actually really easy, staying is hard. We do this podcast, featuring 2 companies a month and their wonderful stories. I wanna be one of those. Stefan: So you use your customers or potential customers in your storytelling to spread the word about Basecamp - it's exactly that. Jason: We’ve written about dry cleaners, companies making cardboard boxes, a barber shop, a hardware store. The are the kind of businesses that are not glamour, but I look up to people like that. To me that is success in business. It’s not raising money, it’s not being the hot new thing… that isn’t interesting to me. Stick around for 10 years, for 20, 30 years. That’s amazing. Those are the companies I admire. Stefan: Thanks for the conversation - it was a bit all over the place but I think the common thread is clear. Be yourself. Communicate from that side, find other people like you, and tell their stories.